In 2013, the American Academy of Pain Medicine released a study showing the long term effects of opioid use for patients who had been using them for more than 10 years. Many studies before it tested how opioids affected the body, but this one was rare in its duration and scope of the research. In particular, they looked at non-cancer pain patients who had been taking high doses of opioids–that is, more than 100 mg day–for more than ten years. The effects it showed was conflicting–while long-term opioid use was correlated with less pain and better mood, there was also evidence of negative hormonal suppression and elevated serum levels. The research by the American Academy of Pain Medicine adds to the research we have on the effects of opioid use. Besides the findings here, other studies have found increased risks of infection and hyperalgesia, an increased sensitivity to pain. While these is still research that needs to be done, much of the problem with identifying key risks of opioid use is that many of its effects are similar to those of chronic pain. For example, while opioids may present an increased risk of infection, so too does chronic pain negatively impact the immune system. Another major concern of long term use of opioids, however, is the incidence of addiction, tolerance, and dependence it can cause in some patients. 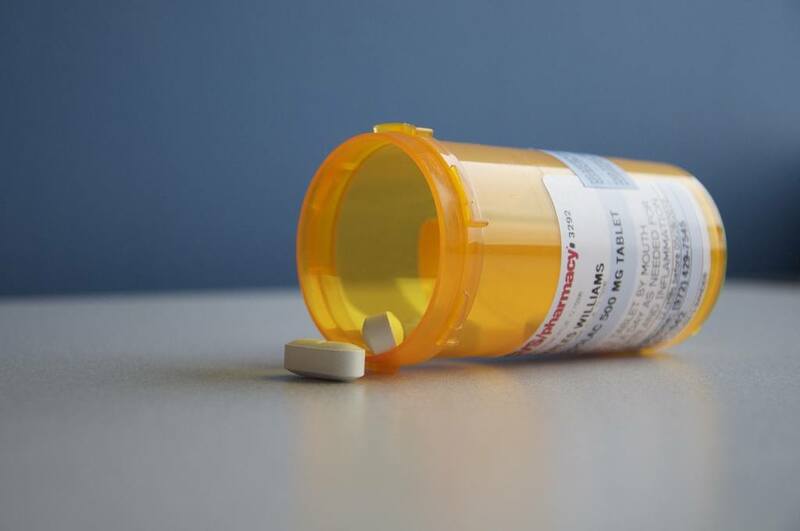 Over time, patients often become used to the effects of an opioid drug, thereby necessitating higher doses of the drug in order to feel a result. This is called tolerance and occurs more often the longer an individual is taking opioids. The body may also experience symptoms of dependence. If dependence occurs, when long-term opioid use is stopped or decreased rapidly, the body may undergo withdrawal symptoms like anxiety, diarrhea, or vomiting. For many with chronic pain, the best answer is to discuss opioid use with a trusted healthcare professional and actively monitor your symptoms if you do use them. If you notice that your pain isn’t any better or that the dosage that once helped your pain is no longer working, consult with your doctor about better alternatives or treatment techniques. Moreover, constantly evaluate your own mental awareness, health, and general quality of life to ensure that the opioid use continues to have a positive, rather than negative, impact on your life and chronic pain. Is there any middle school proof that long term use of opioids could affect a persons hearing ?? Hi Rory — you may want to start here: https://www.ncbi.nlm.nih.gov/pubmed/21959116. Hope that helps. I HAVE HAD MULTIPLE BACK SURGERIES, L45S1 HAS ALL BEEN FUSED TOGETHER WITH HARDWARE AS WELL AS T10 AND T11 WITH HARDWARE, SEVERAL laminectomies,SPINAL STENOSIS SURGERY, I HAVE MAJOR SPINAL DEGENERATIVE DISEASE, I HAVE BEEN ON LARGE AMOUNTS OF OPIOIDS WITCH DOES HELP THE PAIN,IVE HAD THE INTRATHECAL PAIN PUMP,IT HELPED BUT IT STARTED AFFECTING MY KIDNEY WITH ALOT OF PAIN,IT GOT VERY INFECTED AND HAD TO HAVE EMERGENCY SURGERY TO REMOVE IT,OPIATES HELP THE PAIN ALOT AT HIGH DOSES, I BUILT UP A TOLLERANTS TO IT,MY PROBLEM WITH IT IS IM SO AFRAID I WILL GET ADDICTED TO IT,I STARTED TAPERING MYSELF OFF OF IT,I HAD NO KIND OF WITHDRAWAL SYMPTOMS, BUT NOW IM IN SO MUCH PAIN I CANT FUNCTION, I CANT LAY FLAT ON MY BED SO I HAVE TO SLEEP IN MY RECLINER WHEN I DO GET TO SLEEP, IVE HAD ALL THE SHOTS NERVE BLOCKS EVERYTHING WITHOUT SUCCESS, SHOULD I GO BACK TO OPIATES? IT DOES HELP THE PAIN QUITE ALOT BUT IM JUST AFRAID OF ADDICTION, WHAT SHOULD I DO?GO BACK TO WHAT HELPS THE BEST ? Hi Alvin, we are so sorry to hear about the challenges you’ve been facing. Unfortunately we can’t answer specific medical questions on the blog. We recommend reaching out to a doctor in your area: https://paindoctor.com/get-relief-now/ or finding tips for finding one at https://paindoctor.com/pain-management-doctors/. Next, we suggest reaching out to a support group. Talking with people who are going through the same thing as you can help you find that support you truly need with a chronic condition, as well as other treatments you may not have known about. 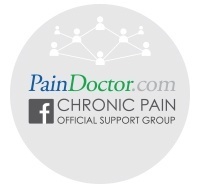 You can find options for those here: https://paindoctor.com/chronic-pain-support-groups/. My right shoulder and the underside of my humerus hurt. About a 7…. In pain level. I did fall into the closet/threshold, mainly my forearm caught the brunt. What do you think i did to it? Ik you can only guess without seeing it. Just wondering how to move forward. I have alot of health issues. Trying to move on on this one. Hi Mary — We are so sorry to hear about the challenges you’ve been facing, but unfortunately we can’t answer specific medical questions on the blog since we can’t be sure of your exact symptoms. We advise you to talk to your doctor or find a pain specialist in your area who can help: https://paindoctor.com/find-your-pain-doctor/. I lost my right limb in the military. Since a stump revision at a VA hospital in 1998 I have been in a nightmare. I have neuromas that constantly keep growing, severe constant pain in my limb that never leaves me alone unless I take high dose opioids with benzos. An additional pain source from a brain tumor removed in 2014 has left me with severe headaches. Thankfully the medication I was already on helps with that. Alprazolam is the only drug that controls the daily severe burning, stinging, on fire feeling. The opioids help with the aching, crushing, twisting, and when my stump gets hard it feels like the bone is pushing through the end of the limb. I have been to approx 8 pain clinics, as well as, the Mayo Clinic and University of Iowa. No one could help me and I was told that I wasn’t “text book”. I found a doctor who prescribed high dose opioids and alprazolam – those two drugs gave me relief with NO side effects except constipation. I have been on these high doses for 8 years. The opioid epidemic has forced my doctor into closing his clinic. In 2006 I tried the Medtronic spinal cord stimulator, but after working with the rep we could only achieve 10% pain relief. VERY DISAPPOINTED. After 12 years, could I be a candidate for the DRG Stimulation? I am running out of time and have a short 2 month supply of meds. Hi there — We are so sorry to hear about the challenges you’ve been facing. Unfortunately we can’t answer specific medical questions on the blog. We recommend reaching out to a doctor in your area: https://paindoctor.com/get-relief-now/ or using the tips here to find one https://paindoctor.com/pain-management-doctors/. They can better help you look at the pros/cons of DRG stimulation and see if it could help you. You can find an overview of this procedure here: https://paindoctor.com/drg-stimulation/.